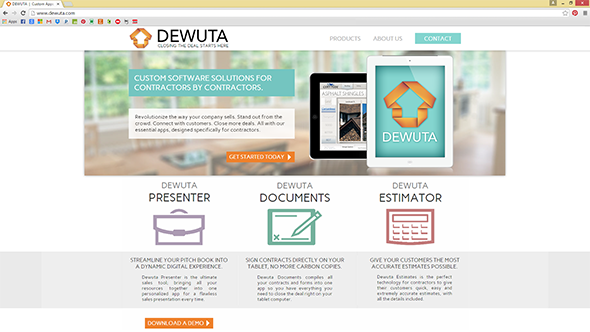 DEWUTA develops custom apps for contractors in the home improvement industry. As a startup company, my role was to develop the brand identity and website from the bottom up. 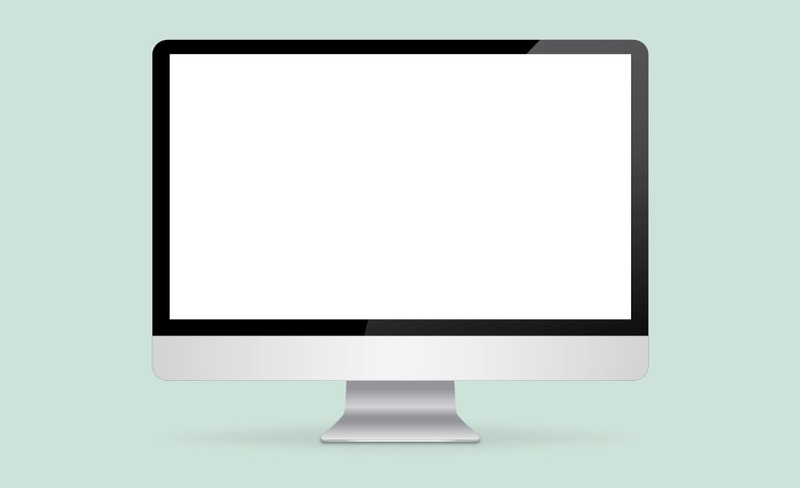 I created the website with a focus on easy access to the many features of each product so that customers can quickly identify which will be beneficial to their company. 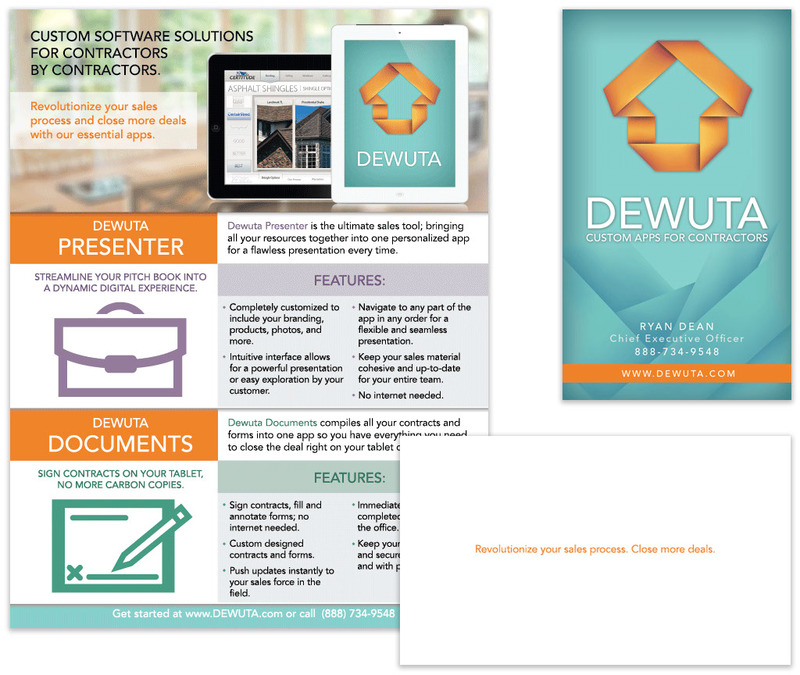 Built in Adobe Muse with versions for desktop, tablet and mobile. Logo and web page icons were created in Adobe Illustrator.